Single Private cooking class in Tuscany A magnificent villa, built in the 18th century right in the heart of the Chianti wine area. A great English-speaking cheaf, authentic regional recipes are the ingredients of this program that you’ll remember forever. 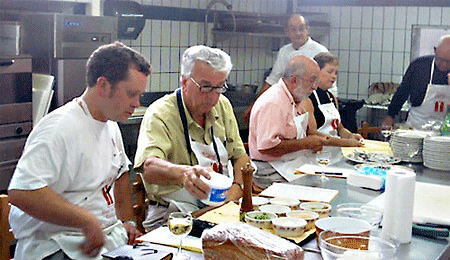 Cooking class lasts for about 2 1/2- 3 hours, starting at 10:00AM every day, except Wednesday, weekends & national holidays. €98, per person, based on 2 participants minimum. Gabriele’s Travels to Italy continually strive to improve tour itinerary and features. If improvement can be made, or unforeseen circumstances beyond our control make changes necessary, we reserve the right to vary itinerary excursions and to substitute hotels and restaurants. Final documents and paperwork, sent out about three weeks prior to departure date, will include an updated itinerary. Prices are subject to change according to currency fluctuations, availability and confirmation. 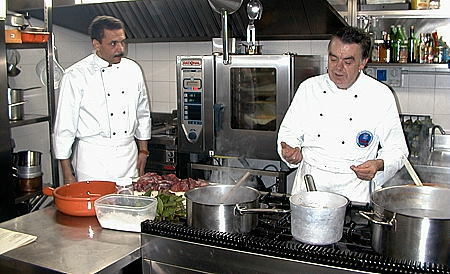 Same location as the above package, same chef a bit longer program with winery visit and wine tasting. €648, per person based on 2 participants minimum. Call me today to discuss your personalized trip to Italy! TravelingToItaly.com is © 2001-2018 Gabriele's Travels to Italy. All rights are reserved. Unauthorized duplication in whole or in part of any information contained in this website is strictly prohibited.